UNM-Valencia Regents' Professor of History/CHESS, Richard Melzer, recently won awards for two of his published books. Melzer, who has been with UNM-Valencia since 1979, was honored recently at Tanoan Country Club in Albuquerque at the 2015 New Mexico-Arizona Book Awards banquet. 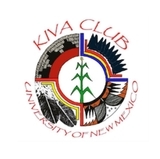 According to the website (nmbookcoop.com), the organization is New Mexico and Arizona’s largest non-profit cooperative featuring The Land of Enchantment and Arizona books, and more than 1,400 publishers and authors. Melzer received the Best Reference Book award for “A River Runs Through Us: True Tales of the Rio Abajo.” The book, co-edited with John Taylor, is an anthology that includes 33 chapters about people, places, wars and mysteries in Valencia County’s history. Five authors contributed chapters to the book, in which Melzer wrote 20 of them. Many of the chapters first appeared in the Valencia County Historical Society’s regular newspaper column, “La Historia del Rio Abajo,” in the Valencia County News-Bulletin. “The award is a major achievement for the Valencia County Historical Society, in keeping with the society’s goal to share our community’s past with residents, young and old. It is the second anthology in a projected four-part series on Valencia County history,” Melzer said. The first book in the series, “Murder, Mystery, and Mayhem in the Rio Abajo,” won last year’s award as the best anthology published in New Mexico and Arizona. The third book in the series, “Enchanted Journeys: More True Tales of the Rio Abajo,” will be published next year. All books are co-edited with Taylor, a retired scientist at Sandia Labs and an award-winning historian from Peralta, N.M.
Melzer’s second award of the night was for Best Religious Book. “The Jewish Legacy in New Mexico History,” is another anthology and will be published in the New Mexico Jewish Historical Society’s newsletter early next year.